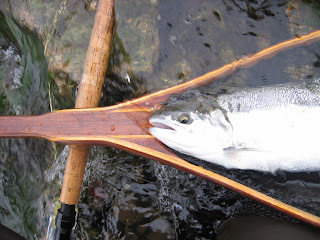 Our congratulations to Ryan Grinwis of Michigan for his beautiful job on the steelhead trout net which he recently purchased and finished from one of our Franklin Net Kits! Ryan, your pics are awesome! 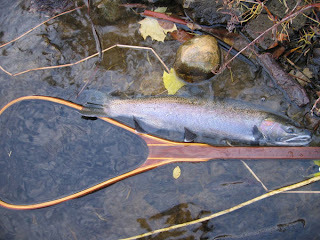 Thanks again for sharing them with us and may you continue to land those steelheads. Keep us posted! 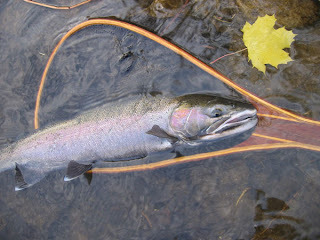 Ryan Grinwis of Michigan sent in this nice photo of his new steelhead net in action which he made from one of our kits. 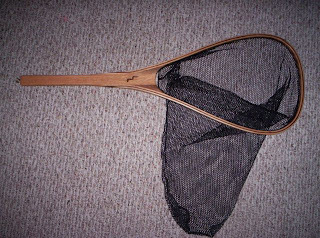 Ryan said in his email, "The net works great Thanks! I finally got to use it this morning, ( I only put 4 coats of finish, I didn't have the patience to do the 5th!) 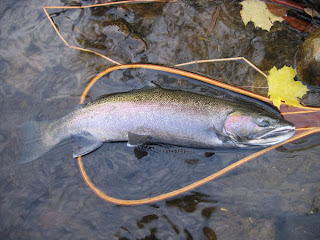 but the net performed awesome, I landed 3 steelhead this morning with it, the extra long handle really helps! Congrats on the nice catch and keep us posted in the future. Keep on landing 'em in style! We are proud to show these two photos sent to us by one of our customers, Lendol Lawrence of Colorado. Check out Lendol's handy work! 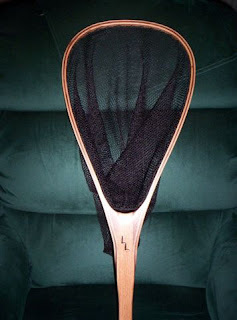 Along with the beautiful finish he also added his monogram to the handle of the steelhead trout net kit, which is a nice personal touch. 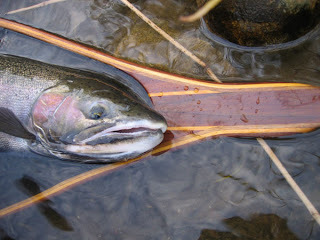 Nice work Lendol and we hope you are landing a good mess of trout! Thanks for sending in the photos! We apologize for the long delay in adding a post to the blog, but will try to do better in the future. Can't believe where the time goes, so decided to take the day off yesterday and enjoy the last day of the season fly fishing in the park, Bennett Springs State Park, Mo. It was a beautiful day and the fish were biting (somewhat). I did have to work at it using several different flies but the effort was worth it especially at the dinner table last night. There is nothing like fresh fried trout!